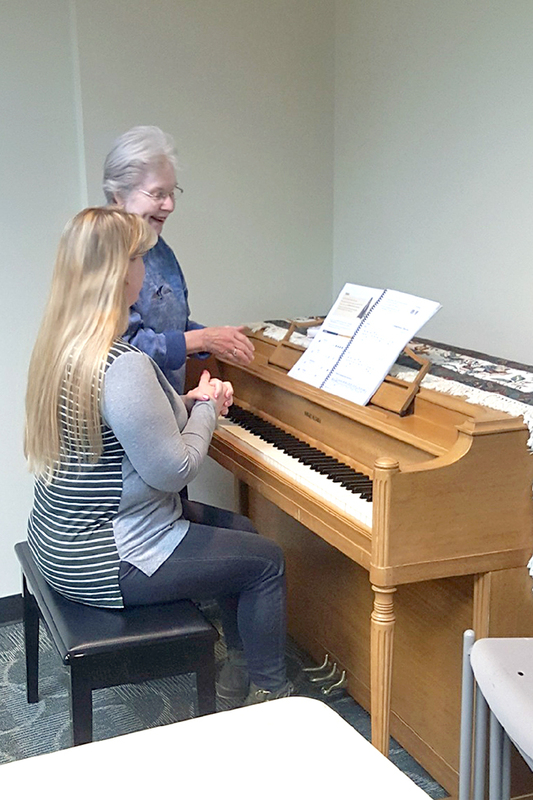 Taking piano lessons has been a goal of mine for many years. I always thought I'd enjoy finally learning to read music and play an instrument. So, this was one of the goals that I've wanted to do for years that I included on my 50 Things To Do Before I'm 50 list. 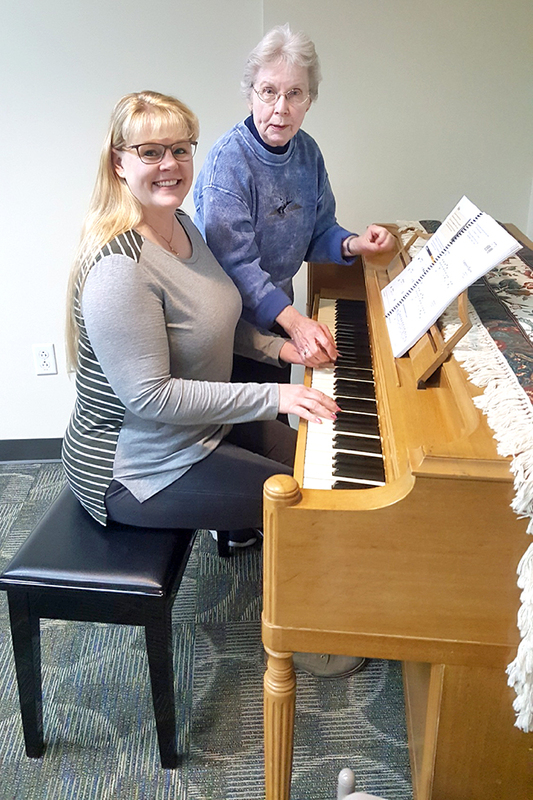 Earlier this year, I signed up for piano lessons at our local senior center. (No, I'm not actually old enough to be a member yet! However, the minimum age is only 50, so I was able to join as Robbie's spouse.) 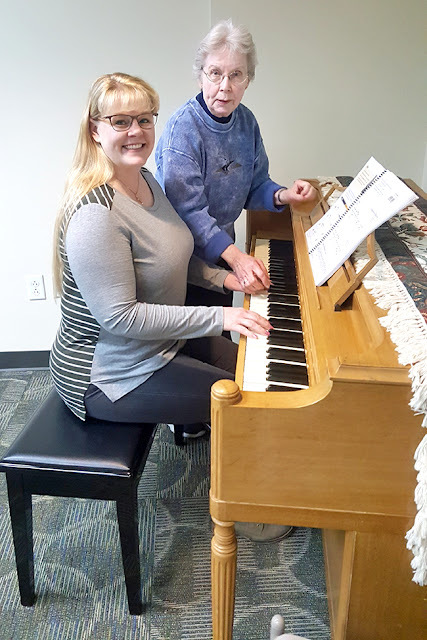 The instructor has been teaching music and piano for years, so she wasn't daunted by the fact that I've never learned to read music or play any instrument at all. 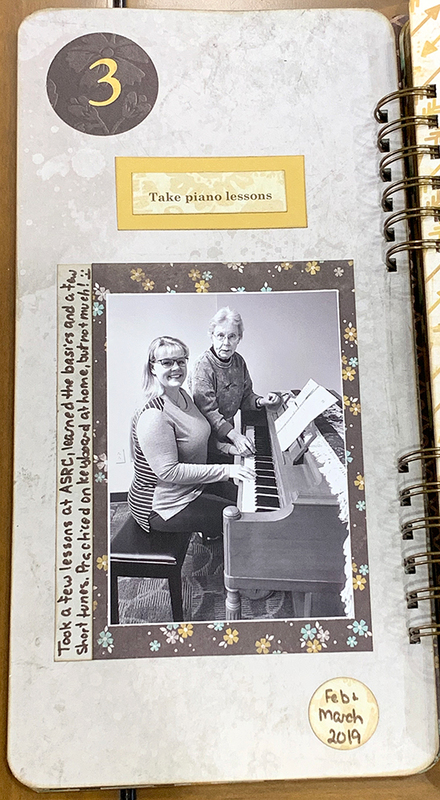 I started with an adult beginner's course book, learning the keys on the piano, finger position, and the difference between a quarter note and a half note. I set up the keyboard we have here at home and spent a little (very little!) time practicing some basic (very basic!) exercises and tunes. One thing that I've realized during the two months I signed up for lessons is that I'm really not all that interested in taking up this new hobby at this point in my life! It's not that it doesn't still sound like something I'd like to know how to do; it's simply that there are other things more important or interesting to me right now. 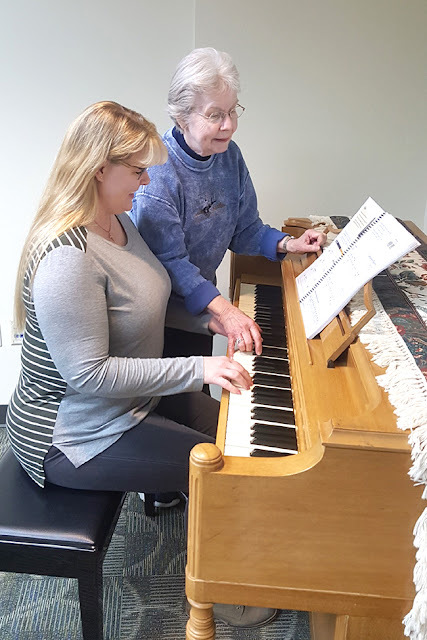 I feel good about signing up for a few lessons and trying something new, and it's quite possible I'll continue to work through the course book here and there since the keyboard is set up and easy to access. However, I'm comfortable checking this item off my 50 Things To Do Before I'm 50 list … I did take some lessons after all! Sending a huge thanks to my friend Darlene, who snuck into one of my lessons and snapped these photos! Do you play the piano? When did you first learn to play? Isn't there a quote about sometimes a taste is as good as a feast? I have no musical ear, so I have never wanted to take piano lessons, although I enjoyed listening as my children took him. I often think that this is something my hubby should try, as he is musically inclined and would have the time to take it up. I would really like to be able to play the piano. I'd like to be able to sing! Alas neither will happen for me, no skill, no ear, no talent but I certainly enjoy hearing others do. I started playing a little over 50 years ago! I can't imagine my life without it and enjoy serving as a church organist/accompanist. I don't think there are any age limits on learning, so I am so glad you gave it a try! I enjoy reading your blog - thank you for sharing! I took lessons when I was 15 or so - for about a year. I never did learn how to read music. I learned how to play a few pieces by rote memorization of where my hands were supposed to go next. I didn't have the discipline to stick with anything that didn't come easy for me. Still wish I knew how to play! I played the recorder and tenor cor in middle school, but nothing since. I've always fancied playing the piano, mainly because I think it's a beautiful instrument. I like your approach in that you wanted to try, you had a few lessons, it wasn't for you, you moved on. I took lessons as a small child up to mid/late teens. When we moved to the meeting house I occasionally played there but haven't played since we moved. Not something I've worried about, there are other things that have priority at the moment. Glad you got to take lessons!